photo © 2009 Garry Knight | more info (via: Wylio)Since moving into our new home at Baptist Theological Seminary, I have been blessed to meet a number of young pastors who are either in seminary or who have recently graduated and are looking for opportunities to do urban community based ministry. One of these impressive young pastors is Courtney Allen, a 2011 graduate of Wake Forest University with a Masters in Divinity. As a part of Courtney’s senior project, she wrote a paper titled, “A Wider Net: Beyond the Walls and the Possibilities that Lie Before Us.” In this paper she studies her affluent home church located in Jackson, Mississippi, ironically named Northminister Baptist Church. Courtney writes, “I was interested in how a congregation initially interested in expanding their own physical facilities was formed by context, sermons, as well as ministerial and lay leadership to make a significant commitment to an inner-city ministry.” Courtney has granted me permission to share her insights, which appear below, as a part of my series on Kingdom Churches. Northminster Baptist church of Jackson Mississippi was formed in 1967. In 1998, as the church was contemplating a building project, Senior Pastor Chuck Poole issued a challenge – a dollar for dollar mission’s commitment. Courtney writes, “For Poole, it was difficult to see how “in light of the Gospel” the congregation should make themselves more comfortable for one hour per week in a city where “there are people who are never comfortable.” Can I get an “Amen!”? In June 2001, the joint recommendation of these committees were approved and named “A Wider Net.” The vision was “a wider place to gather within our walls as well as a wider embrace of others beyond our walls.” The proposal from the Missions Committee included the desire to focus the church ministry efforts on a neighborhood called Mid-City . It also called the church to commit to, “A Person. A Place. A Ministry.”, within Mid-City. In its commitment to “a person” the church wisely understood that real transformative ministry requires relationship building. The church committed to funding a “Community Minister” to serve as a bridge between the Mid-City and the church. The church affirmed the importance of physical presence by committing to “a place” within the community where relational ministry could happen. By supporting “a ministry”, the congregation used its financial and volunteer base to expand the capacity of work that was already happening in the community through various other organizations. This commitment to “a person, a place and a ministry” is absolutely brilliant and consistent with ever successful example of community transformation I have ever seen. However, I have never seen it stated so simply. Courtney’s historical account details how the church faithfully carried out its commitment by hiring a community pastor who began listening to and visiting the residents regularly. Community ministries were identified and the church became an important strategic partner for many. Most importantly, the people of Northminster began to volunteer and through their presence brought about positive neighborhood change. Volunteers got involved in community safety projects, housing rehabilitation, summer kids camps, care for the elderly, and community building events. Courtney shares in her paper that important transformation happened at both a community level and a church level as transformative relationships formed. Imagine this. Every church in Richmond committing one dollar to missions for every dollar it raises for buildings! Just imagine dozens of community ministers funded by affluent churches bridging the wealthiest communities in Richmond to the most distressed. That is a vision I am willing to give my life for. As a side note, I can’t afford to hire Courtney to serve with us in Richmond but I feel certain at least one church here in Richmond can see the blessing that a “Courtney Allen, Community Pastor,” would bring to their staff. Courtney is just one of many young pastors I have met recently with this call upon their lives. Interested in funding in full or partially a community minister to serve as a bridge to your congregation? Please let me know via email at wendy@embracerichmond.org. My family is no stranger to mental illness and I tweeted back to Jamie these words, “If we could do what you suggest, substance abuse would decline and our streets would be safer. I might also still have my dad.” I have only blogged specifically on the issue of mental illness once and have only written of my father’s suicide in my book. Jamie’s post challenged me to overcome my fear of judgment in the hope that we can reduce the stigma surrounding mental illness. Last Memorial Day I posted this post on the subject of the church’s response to mental illness. While many of you have read this story, I thought it was worth reposting. I grew up un-churched in the heart of the Bible belt. 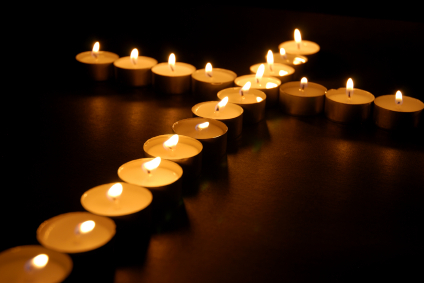 I become a Christian in my late twenties after a series of miscarriages launched me on a spiritual journey. Even though I have been a part of the local church for more than 15 years, I still approach the church with the eyes of an outsider and a heart for those who, for whatever reason, have not found a home within the walls of the church. I am particularly drawn to those who feel unwelcome and judged by the church. I think this sensitivity toward the outcast is the result of a traumatic event that occurred in 1977 when I was only ten years old. Douglas Miiller was my favorite uncle, we called him “funny Doug”. He always had a way of making me laugh. I will never forget getting my first bicycle. I could not figure out how to ride it so my uncle Doug decided to show me. He looked so funny on that tiny bike with his knees up around his shoulders. He went riding down our drive way, lost control and crashed my brand new bike into a tree…that was not so funny. Thankfully Uncle Doug was fine but the impact bent the front tire of my bike. My uncle, whom I know was not a wealthy man, immediately went out and purchased me an even better bike, this one had a basket on the front and ribbons on the handle bars. I loved my uncle Doug. As a young man, Douglas Miiller was drafted into the army and served a tour of duty in Vietnam. 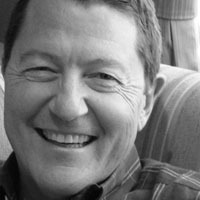 He never talked about his days in the military but I overheard the adults saying that, “it messed him up.” I never really knew what they meant but in 1977, when he decided to end his life, this part of his past seemed to be the key to understanding why he had lived such a tortured life. From my keen ability to ease drop on adult conversations, I learned that my uncle had a drinking problem which only contributed to his pain. He was the first person I can remember losing to death. Dealing with death is never easy, especially for a ten year old, but adding suicide to that equation makes it even more difficult. As I mentioned, my family did not attend church so the only images of God available to me were those shared by family and friends who claimed to be Christians. I will never forget hearing the words, “Your uncle is going to go to hell for what he did,” spoken by a child I thought was my friend. This was the message the Church gave me during my time of grief. These words wounded me so deeply that it was more than twenty years before I was willing to step foot in a church. My call to create safe spaces for spiritual seekers grows out of this very early wounding by the messages of judgment that I heard as a child. In my book, “From the Sanctuary to the Streets”, I have captured the stories of many people, who like my Uncle Doug, never found a home in the church walls but whose lives have enriched my own. My prayer is that by sharing their stories I will bring honor to the lives of those who feel shut out, judged and cast off. For those are the very people Jesus chose to identify with and spend time with. It is in the presence of the “least of these” where I have seen the real “Church” come alive. My prayer is that through the stories of those who do not feel welcome in the church with walls, pulpits and steeples, we will begin to see that the Church Universal is far bigger than the structures built by human hands. It exists in the very people who seek to be Christ in the world and in the faces of those Christ identified with in Matthew 25; those who hunger and thirst, the stranger, the sick and those who are imprisoned. 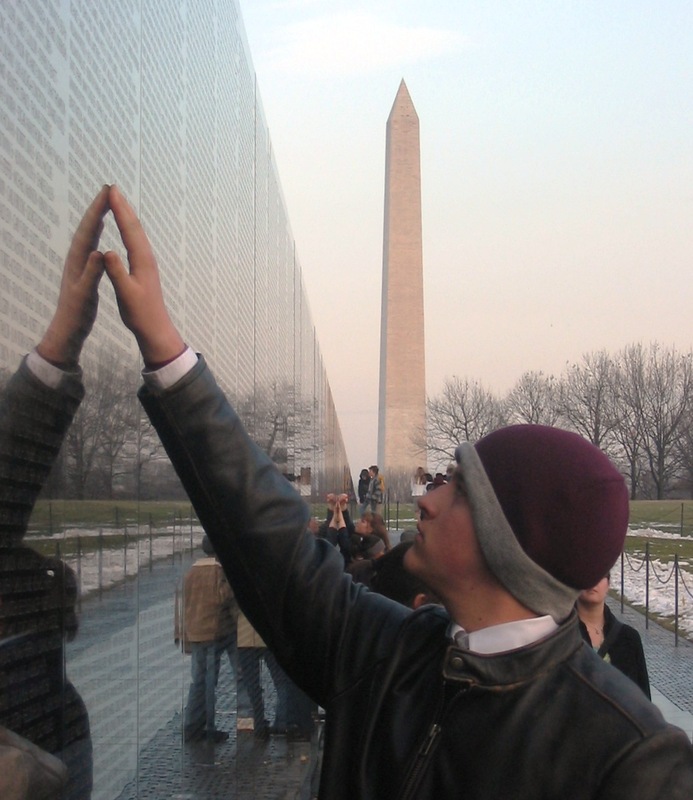 I choose the image of the Vietnam memorial for this post to honor both those who have died in battle this Memorial Day weekend, but also those whom like my uncle had their lives shattered by war. The lasting effects of the horrors of war continue on for generations. In some ways, I myself am a victim both through the loss of my uncle and the effects that my uncle’s suicide had on my family, in particular my father who lost his youngest brother. I pray for peace for all the families across the world who suffer due to war and I lift up a prayer for peace for all the nations. May your Memorial Day be peaceful and blessed. Seek to release their people and resources out into the world instead of consuming them for their own needs. Are truly investing in the kingdom for the long-haul as a way of life, not simply doing missions events. Do more than give money or stuff, but that build relationships that are transforming not only the city, but also the church. Support Kingdom work without getting the credit or having some other ulterior motive like recruitment of church members. My series about Northminister started with a brief conversation with Pastor Sammy Williams. As Sammy shared stories with me about how his church is loving its neighbors, he continually gave the credit to others like Jeanne Murdock, Cassie Matthews, Karel Harris and Terry Smith. However, I have been around church life long enough to know that leaders such as these, do not spontaneously emerge. It is only through pastoral leadership that individuals with such great passion and heart are empowered to do what these amazing ladies have done. You can learn more about Jeanne Murdock’s and Cassie Matthew’s ministries by reading my interviews with them from earlier this year. I decided to interview Pastor Sammy Williams to try to understand why God was drawing all these leaders to this one church and why these leaders had been able to flourish in the culture of this congregation. Sammy gave me the answer in the first two minutes of our interview. He shared that for many years, he had been mentored by Gordon Cosby, founder of Church of the Savior in Washington DC. I have written about Church of the Savior many times and have shared insights gleaned from their printed materials but I have never had the privilege of meeting Gordon Cosby. I knew right away that the relationship between Sammy and Gordon was the key to why this ordinary urban church that was on a path to death was experiencing an extraordinary movement of God. When I came to Northminister in 1986, the congregation was 80% retired. But there was this small group of people in their 20’s who were just alive and who just knew that God wanted to do something with this church. Northminister was referred to at the time as an “ex-neighborhood church.” Northminister started out as the Barton Heights Baptist church and was located on North Avenue in the heart of Barton Heights. They were looking to move in the 1940’s because they had outgrown their building. Everyone also knew that African American’s were beginning to move north in the city. The thinking of the white community was that black families would never move north of Brookland Park Boulevard. The church purchased what is now the whole subdivision around Northminster. They formed a corporation, subdivided the property, and sold lots to members. They spent 10 years developing the subdivision and building the church. When they moved into the building in 1956, the Pastor had a parsonage across the street from the church. Every Saturday after lunch he would leave his house and walk the neighborhood and get home in time for supper. He said he would have spoken to 2/3 of his members in that short walk. At their height, the church had 1400 people in Sunday school. The sanctuary was completed in 1963. Shortly thereafter, the first African American family moved north of Brookland Park Boulevard. All the white families began to leave. So what I inherited in 1986 was the remnant. It was roughly a 300–member church. While the church started to attract new people, I was doing 30 funerals a year. So we were basically staying level. We did some strategic planning in 1997. That task force came back with their report and the first line of that report was – the family secret. The family secret was that if something radical did not change this church would not survive the deaths of the present members most of whom were retired. For several months thereafter we facilitated listening sessions. This was radical for us. We would come and worship at 9:00 and then break into small groups of 50. We talked about selling the property and moving to Hanover. We looked at the cost and the value of selling our building. When the congregation looked at our beautiful building and the reality of what we could afford to build, the question became, “Are we really called to leave this neighborhood?” There really was a sense that we should stay. The final proposal we adopted was that we start a new church in the present location. We realized that we were missing two generations and we knew we really needed to reach folks 25-35 years of age to stay alive. We realized that to attract that demographic we needed a more contemporary worship experience. I had never been to a contemporary service and had no desire to go to a contemporary service back in 1997. I remember walking by a contemporary service at a CBF conference and thinking, “Why would anyone want to do that!” One summer I went to 7 contemporary worship services. Everything was contemporary but the sermon was the same. I started asking, “How can we get the sermon to match the culture of the rest of the service?” Over time I learned to preach in a whole new way. We started attracting adults who had never been to church. I taught the new member class and these new members were like blank slates. They were hungry and I found that they energized me. After doing this new worship service for a year, I realized that I had a “new church” that I really loved and that really energized me. When we decided to start the contemporary worship service none of us had a clue how to do that. We put out a call to anyone interested in helping with a contemporary service and God sent eight people. We had guitar players, drummers, keyboard players and vocalist and I was shocked – they were really good. They were sitting in our sanctuary and their gifts were going unused. One of the difficulties I have as a Pastor is that we are taught to compare. The models that are out there all focus on church growth. One summer I visited 10 of the top churches in Richmond. They were all excelling in what the world defines as success. However, only one of them was truly racially integrated. After that summer, I realized I much prefer what we have at Northminister. It is not the model for church growth. I have been there 24 years and we have about the same number of people as we did 24 years ago. The big difference is that we are less than 20% retired. When I came to the church less than 5% of the members lived in the neighborhoods surrounding the church, today roughly 25% live around the church. When I came to the church the congregation consisted entirely of European American’s and today roughly 20% of our congregation is African American. Today I have two very distinct churches. The early service consists of the remnant of the church I inherited and the later service represents the church God has birthed within the original church. I would say that Sammy has clearly been shaped by his mentor Gordon Cosby. While Sammy would say that Northminister has a long way to go to even come close to being in the same category as Church of the Savior, he has seen what very few pastors ever see. He has witnessed the resurrection of a church. He credits this new life to all the leaders like Jeanne, Cassie, Terry and Carol and the compassionate ministries they have birthed for bringing the spirit of unity, hospitality and welcome that permeates this church. However, none of this would have happened had Sammy not been willing to let go, release control and trust that these women were responding to a clear call from God. I want to thank Sammy and the folks from Northminster for restoring my faith in the institutional church. While many of my blogs focus on my perceived short comings of the inherited church models, Northminister is a beautiful example of how God is birthing fresh expressions of the church even within the walls of the existing institutional structures. Wayne was a child growing up on an army base in Japan. One day his family went for a ride outside the base. When they stopped for lunch an old man at a booth caught his attention. He was selling tiny birds that resembled a finch, in bamboo cages. This was the last thing this young boy wanted to do. He felt that was the dumbest thing he had ever heard of. But he did not have much of a choice, the old man was keeping close watch to make sure he got his cage back. So he walked over to the edge of the ravine overlooking the valley below, opened the cage door and gave the bird a couple of nudges. Edging it’s way suspiciously toward the door of the cage, it suddenly launched into flight with a jubilant chorus of tweets and whistles. I think this story is an excellent metaphor for what Embrace Richmond strives to do. We encounter a lot of beautiful caged birds. Birds caged by addiction, mental illness, poverty, unemployment, depression and loneliness. I used to think it was our job to open the doors to the cages and let people out but after years of doing this kind of work, I have come to realize that they already have the keys. They just need someone to remind them of that fact and encourage them to unlock the door. That last sentence sounds like an easy task but it has proven to be a very painful process for many who have grown so accustomed to living in a cage that freedom appears threatening or unattainable. While the little finch in Cordeiro’s story soared through the air, many of my friend’s wings are so underused that they often fall to the ground several times before they learn to fly. Our role as dream releasers is to be there when they fall and encourage them to keep on trying. The first time I read this story, I dreamed of being a dream releaser. Today I am truly blessed to work with the most amazing team of “dream releasers” imaginable. So thank you Janie, Qasarah, Susan, Sylvia, Vanessa, Chinary, Antionette, John, Charles, Josh, Brian, and Ashlee. Thanks for helping my early dream of creating a dream releasing community come true. If you are interested in being a “dream releaser”, please email me at wendy@embracerichmond.org. I have three teenage daughters and as they face the challenges inherent in being teenagers, I seem to be reliving those times in my own life. My eldest is a rising senior and as she looks with anticipation toward college and a very bright future, I feel her anxiety. Will she get into the college of her choice? What will she major in? Will she miss her high school friends. Will she be able to make new friends in college? The future is full of possibilities and uncertainty, hope and fear, promise and possible disappointments. I remember it like it was yesterday. My younger two daughters are still in the midst of being teenage girls with all the challenges of maintaining healthy friendships. As I think back to high school and all the cattiness that was just a part of growing up, I can relate to the stories of discord that they share. Of course I am sure every mother sees her daughter as the victim, the one who is just misunderstood. I am sure my girls are not the sweet, innocent, bystanders I make them out to be. None of us would ever want to admit our children are the perpetrators behind the unkind behavior. But, as I feel their pain of being the victim, I also remember the times I was the one causing the pain. I grew up in a very small town. I had pretty much the same grouping of friends from the day I was born until the day I graduated High School. 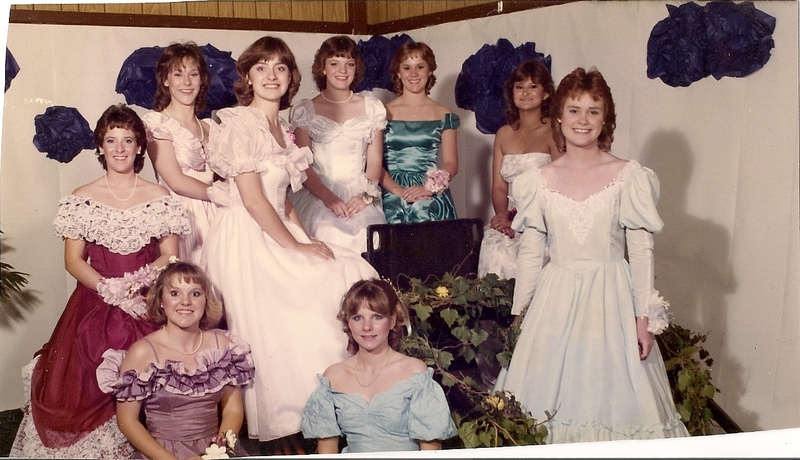 Yes, that is us above at our junior prom. We all just moved through the years from one clique to the next. I eventually landed in the “brainy/semi-popular” clique. I was friends with the cheerleaders and the Homecoming queen but I was never center stage. I learned early on that drama seemed to be directed toward whoever was in the middle of circle and being on the periphery was preferable. While I truly had little to do with all the drama, I did do some things I am ashamed of to this day. Like the time I stood by while one friend beat another friend, or the time I shared gossip about a friend that was ugly and hurtful. Those times I was untrue to a friend still haunt me nearly 30 years later. I am sure the friends I hurt have long ago forgiven and forgotten about the incident, yet I have not. Anytime we are untrue to who we truly are, we injure ourselves more than we injure those our behavior was directed at. So here it goes – Beth, Heather, Kristi, Jill, Marion, Connie, Brenda, Sandy, and our sweet departed sister Janet: I am sorry. I am sorry for not being the friend you deserved in high school. I am sorry for any gossip I repeated. I am sorry for any opportunity I had to defend you and did not. I am sorry that I cared more about fitting in than I did about being a faithful friend. It is with tears streaming down my face that I say “Please, forgive me.” I was blessed to have you all as friends. Of course there were many other wonderful girls and a few boys whom I had the privilege of calling friends through the years but the nine of you impacted me more than any others. As I listened to my girls share their friendship woes this week, I realized that many of their challenges would be solved if they or their friends would simply learn to say “I’m sorry.” I know through the years, I have been a lousy role model in this department. I am stubborn, selfish and prideful – diseases that are prevalent in our society. So, I wonder what would happen if all the adults started modeling humility, grace and forgiveness. Could we change the teen culture? I know, that is a stretch but you all know I am dreamer. Hope you all have a good weekend and that you spend it with good friends and if you have a chance, you might want to reach out and say “I am sorry” even if it is 30 years too late.